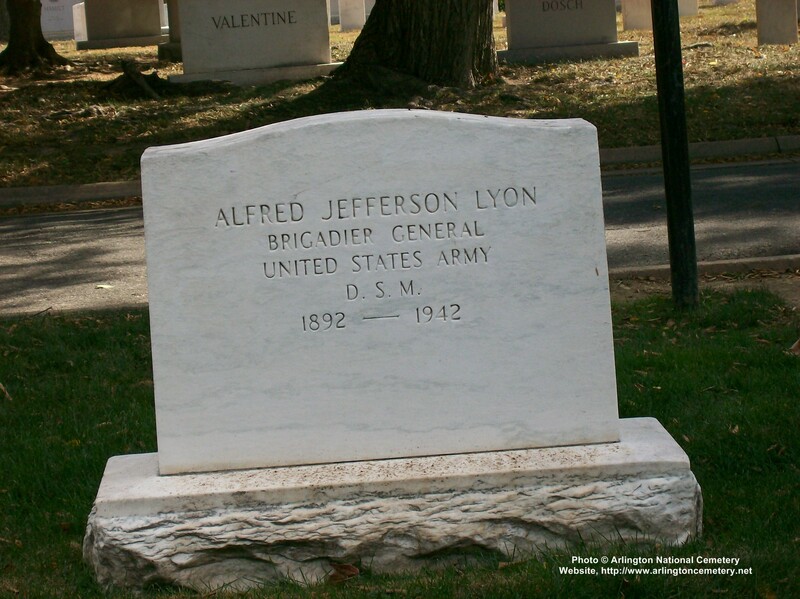 WASHINGTON, December 1, 1942 - Brigadier General Alfred J. Lyon died today at Walter Reed General Hospital at the age of 50. 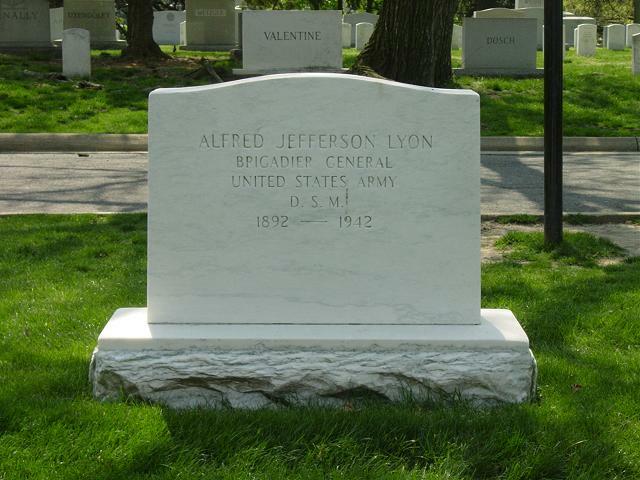 Born in Coeur d'Alene, Idaho, General Lyon served with the Idaho National Guard before entering the Air Corps Reserve in 1917. His assignments with the Air Corps included special service as an observed in London in 1941. 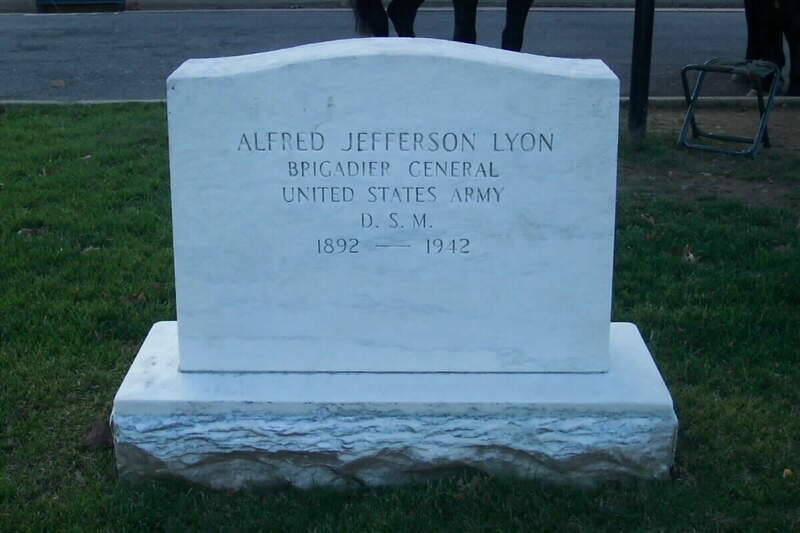 We are actively seeking information regarding General Lyon.